In the dead of winter when it’s semi-miserable outside, we like to make ourselves a little happier through the avenue of comfort food. Part of our obsession with old houses and doing things ourselves spiderwebs out into cooking. If you’re going to work on your house and build beautiful things yourself, you might as well cook delicious food for yourself, too, right? Right. 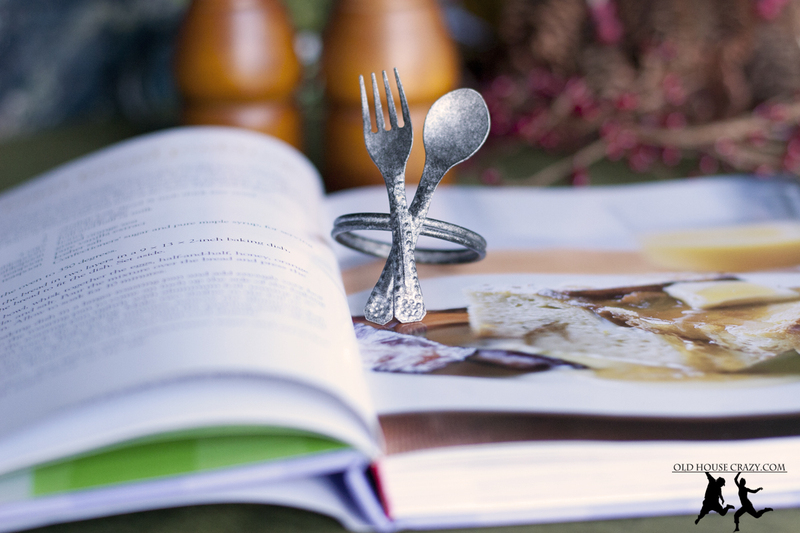 Hi folks, Christy here, making my debut on the blog today! 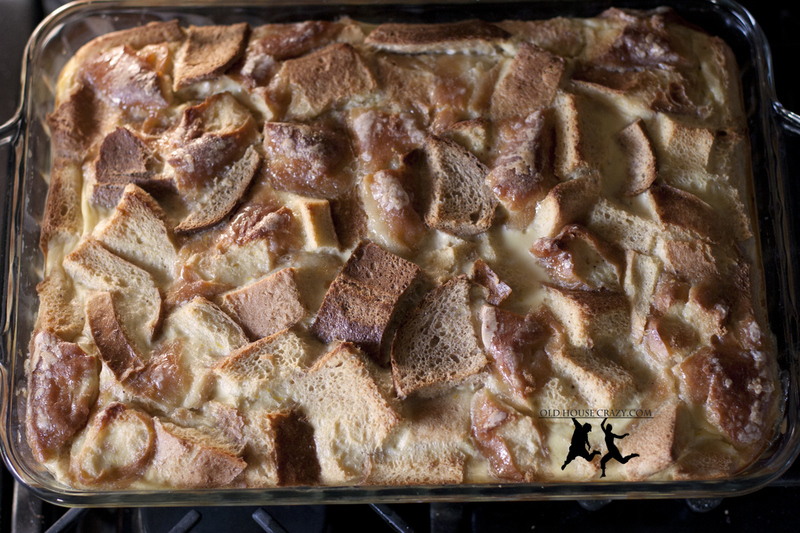 When I was a kid and I overheard my adult family talking about bread pudding, I was pretty grossed-out. Pudding is pudding, and bread has nothing to do with pudding, so I couldn’t imagine why someone would ever cook the two together. Bleehh, thought my ignorant child brain. Now, as an adult I know why people cook the two together. Because it’s delicious, that’s why. It turns out that it’s actually pretty inexpensive, too, which is part of why I selected it for my Saturday afternoon kitchen adventure. I call this “fancy” bread pudding because I adapted the recipe from a Barefoot Contessa recipe out of her book, how easy is that? Barefoot Contessa is fancy, but I stepped it up a little more with extra ingredients. To her recipe I added the Krispy Kremes, cinnamon, nutmeg, and cognac. I would also suggest enjoying your fancy bread pudding with a cordial of sherry, port, or cognac (you know, since it’s winter and all…) or a cup of coffee. Additionally, Barefoot Contessa uses a challah loaf for her bread component, while I opted for the old regular loaf ends and Krispy Kremes. 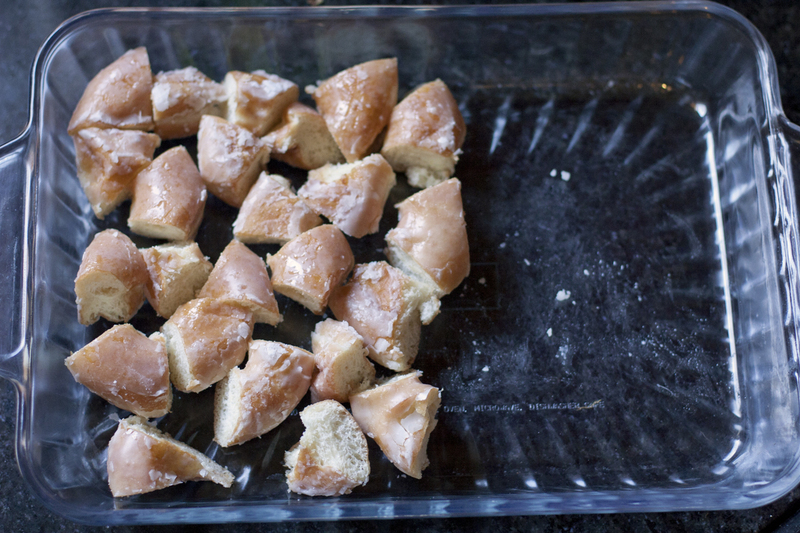 To make the fancy bread pudding, slice the bread and Krispy Kremes into chunks roughly 1.5″ x 1.5″ x 1.5″, and lay them in a 13 x 9 baking dish. 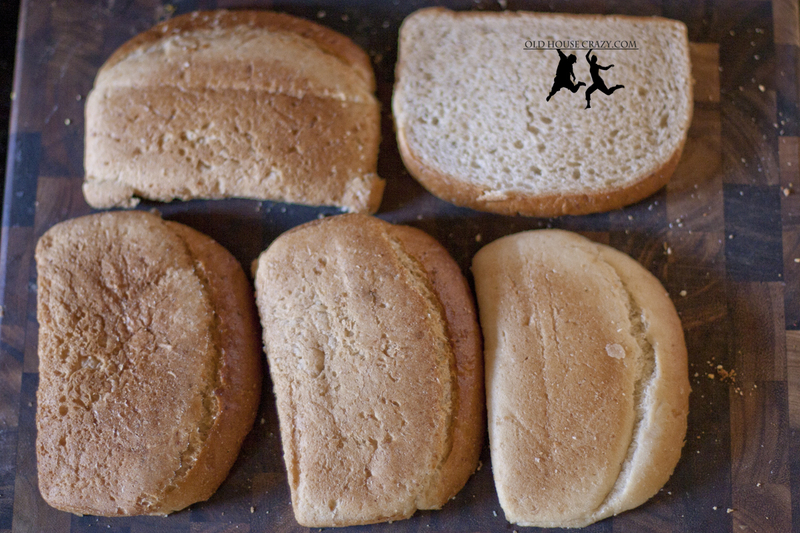 Just throw them all in together and mix the different types of bread around evenly. 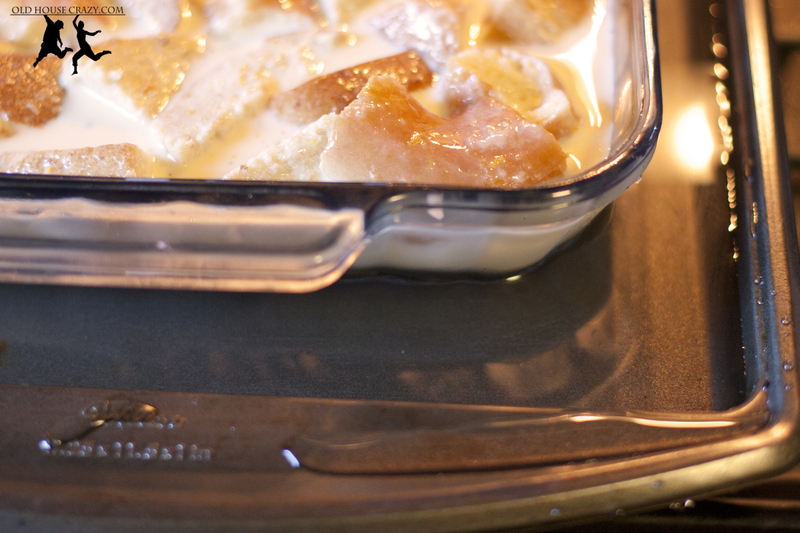 No need to grease the baking dish. 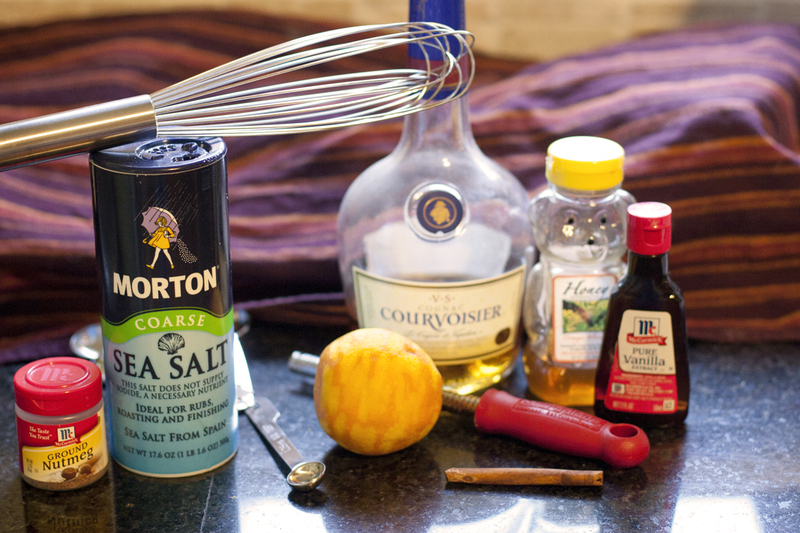 In a separate bowl, whisk together the eggs, half & half, honey, orange zest, vanilla, nutmeg, cinnamon, cognac, and salt. I would recommend using a stand mixer if you have one, as this ends up being a lot of liquid and whisking by hand tires out your arm rather quickly. After whisking, pour the mixture over your bread & Krispy Kreme chunks, press them down into the liquid with your fingertips (you’ll see air bubbles escaping – this is good), and let it soak for about 10 minutes. Next, place your baking dish into a larger pan. Barefoot Contessa calls for a roasting pan, but I didn’t have one, so I used a cookie sheet with tall edges. 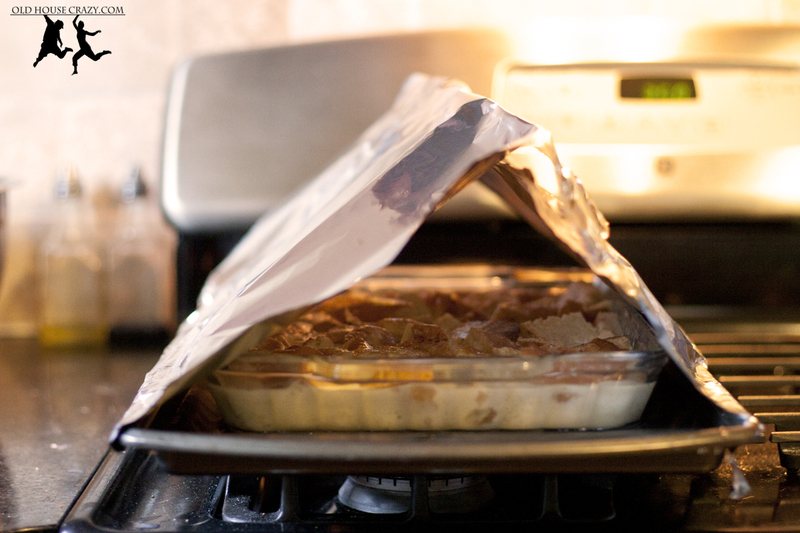 Add hot tap water to the roasting pan / cookie sheet / whatever you’ve got as high as you can, up to one inch deep. Make an aluminum foil tent with two sheets, and cut a slash on each sheet for venting. Bake at 350 degrees for 45 minutes with the aluminum foil tent in place, then remove the foil tent and bake for another 45 minutes at 350, until the pudding puffs up and the custard is set. 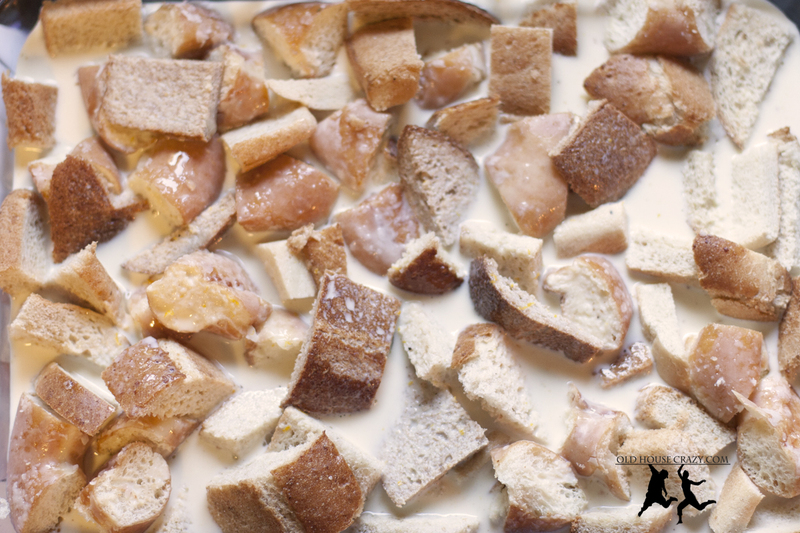 Allow your fancy bread pudding to cool for a bit before you devour it. An extra sweet drizzle of nice maple syrup and a sprinkling of confectioners sugar is suggested. This entry was posted in Better than store bought, Desserts, Home made, Mood Boosters. Bookmark the permalink. Your Uncle Bob loves bread pudding. OMG DONUTS. 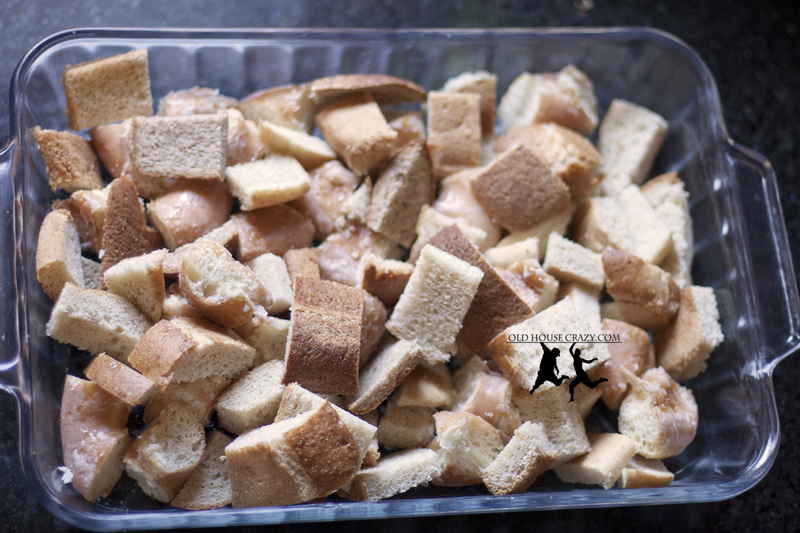 IN BREAD PUDDING.